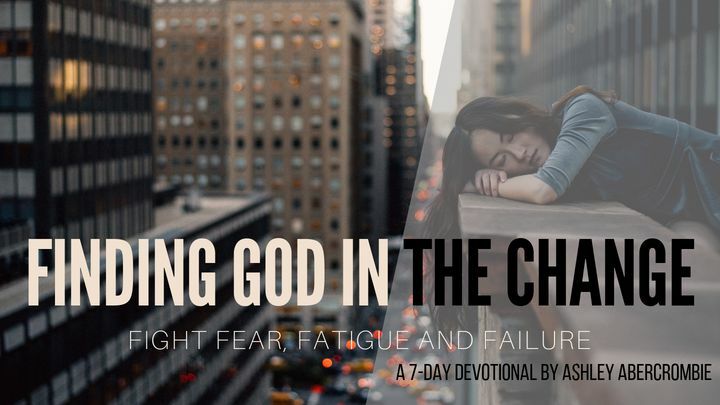 Finding God In The Change: Fight Fear, Failure and Fatigue - Change creates chaos. If you're anything like me, you'd prefer control over chaos. In the digital age we live in, our pace is often faster than our capacity. We find ourselves running at break neck speeds, when all of sudden, a change comes that triggers anxiety, fear, panic and paralysis. We feel confused and disoriented, wondering, God, where are you? Let’s learn together how to find God in the change. Change creates chaos. If you're anything like me, you'd prefer control over chaos. In the digital age we live in, our pace is often faster than our capacity. We find ourselves running at break neck speeds, when all of sudden, a change comes that triggers anxiety, fear, panic and paralysis. We feel confused and disoriented, wondering, God, where are you? Let’s learn together how to find God in the change.